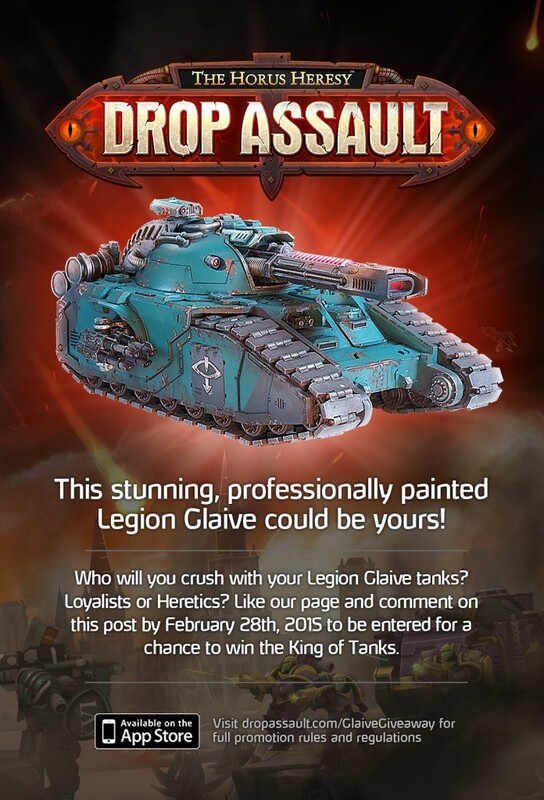 We’re giving away a professionally painted Legion Glaive tank from Forge World to one lucky fan. It could be you! Be sure to Like our Facebook page and comment on the post to be entered to win. See the Glaive in action on YouTube. This gorgeous model features a Sons of Horus colour scheme. We’ll chose one winner from the entries received on the week of March 9th, 2015 and will announce them on our Facebook page. For full rules, please visit our website. 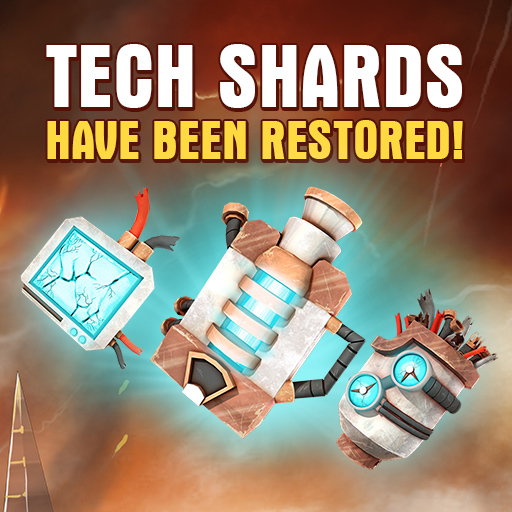 Battle Brothers: All missing Tech Shards have been restored and all players are now receiving appropriate level Tech Shards after combat. Visit the Forge to craft new, powerful Relics. Don’t forget to connect with the community on Facebook and Twitter for the latest info, updates, and promotions!